Celebrate Pride Month! 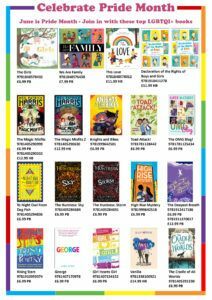 – Bounce Sales & Marketing Ltd.
June is officially Pride Month and Bounce have created this handy list of titles that include LGBTQI+ characters. Not just useful for June but all year round.